In my internship class the professor asked who wanted to do an environmental internship with Sustainable Flatbush and my hand shot up. After reading Sustainable Flatbush’s initiatives and looking through the vibrant website, I knew wanted to try to get an internship with this organization. So that night I went home and the first thing I did was email Anne, the Founder/Director of Sustainable Flatbush, and expressed my interest. When I met Anne in the Sustainable Flatbush office I was so nervous. I wasn’t sure if I could accurately express how interested I was in learning about and being a part of every aspect of the organization. Before the interview was over Anne gave me a list of upcoming events and meetings to attend. 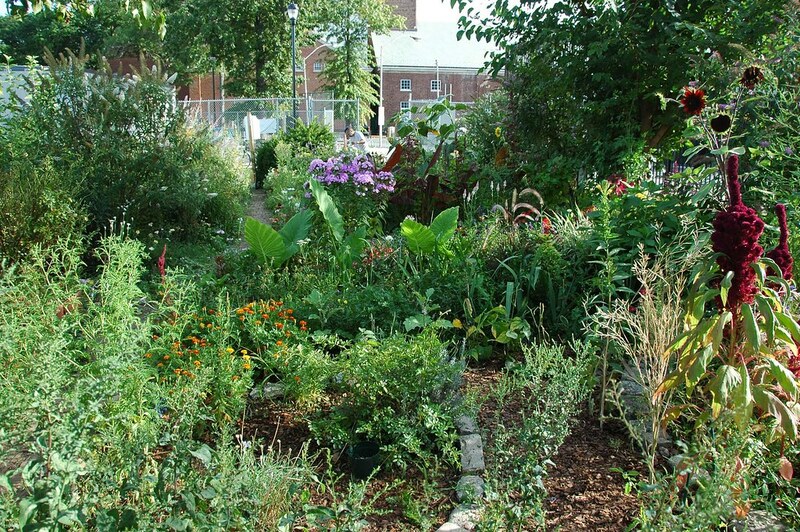 Also she suggested that I walk over to Brooklyn College’s Campus Road Community Garden. Even after attending Brooklyn College for a year I had no idea that there was a garden. When I neared the end of Campus Road I saw sunflowers and pumpkins and I was already amazed. When I walked through the paths in garden I could not believe that something so sacred existed on Brooklyn College’s campus. I instantly recognized the peach trees even though they were not bearing any fruit because I grew up with peach trees in my backyard. 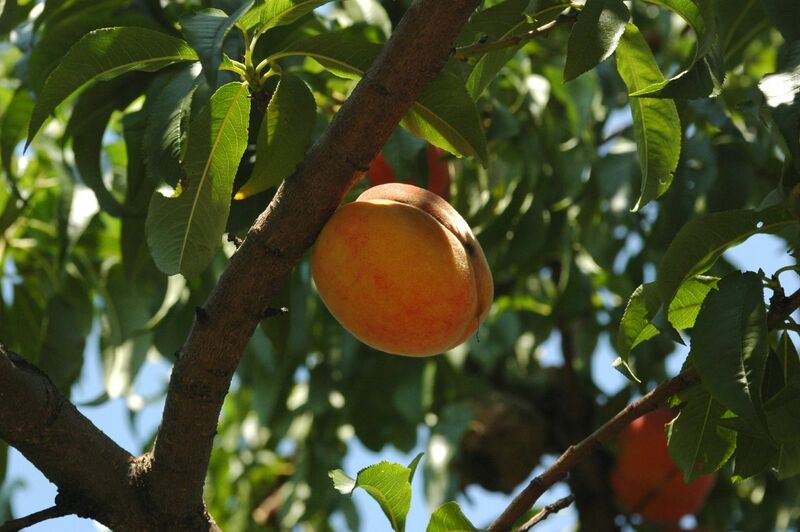 Finding a peach tree in the middle of Brooklyn was my greatest discovery because it was just a little something that reminded me of home, but that Sunday, October 4th, I attended the Campus Road Community Garden meeting and learned about the proposed demolition of the garden. You could hear from the discussion how passionate these gardeners were about preventing the garden from being turned into a parking lot. Each year many of the students and local gardeners use their hands to turn the soil into fruitful vegetation, so the fervor in their voices was understandable. Ideas were proposed about making the campus community aware of the presence of the garden and the threat of its demolition. By that Tuesday, October 6th, I was able to help Sustainable Flatbush with Brooklyn College’s Student Center’s Welcome Back Bash. From our table set up on Campus Road we provided students and local community members with information about the goals and initiatives of Sustainable Flatbush. The street became filled with students and members from the community who played games, listened to live music from the Pimps of Joytime, watched the street performances of Circus Amok, and gathered information from student groups and organizations. Sustainable Flatbush invited several environmental groups to table at the event and introduce students to their programs. Since Sustainable Flatbush invited the Brooklyn Compost Project, I was able to dig through and at the same time learn about worm composting from Annie Houck-Lawson. I watched Rommel from Recycle-A-Bicycle fix bikes and Sam from Transportation Alternatives advocate for biking, walking, and public transit. Community Gardeners from the Campus Road Garden took students on tours of the garden to make them aware of the garden’s existence and solicited signatures for their petition to thwart the demolition of the garden. 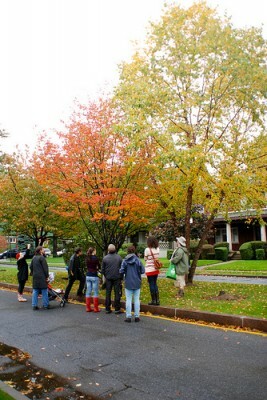 The light rain did not stop members of the community from gathering at Sacred Vibes Apothecary on October 24th, to follow Tracey Hohman and Chris “Flatbush Gardener” Kreussling to learn more about the trees in the Victorian Flatbush neighborhood. The drizzling rain made the yellow, red, orange, and green leaves as well as the brown in the barks glisten. By the end of the tour, tour-goers were able to identify and name the trees that line Argyle, Albemarle, Marlborough, Cortelyou, and Beverley Roads. I am now able to recognize the gingko trees that are on my street and Brooklyn College not just from their smelly fruit but their distinctive leaves. I also had the chance of sitting in on a meeting with Anne and three representatives from the New York City Department of Transportation on October 20th. They were proposing the idea of changing and making improvements to the Nostrand Avenue bus service, the B44. By creating the Nostrand Avenue Bus Rapid Transit they would improve boarding time, bus speeds, and more through restructuring the street lanes and the sidewalks to accommodate the over 41,000 daily riders of the B44. Living right off of Nostrand Avenue I know how crowded the B44 can get and how long bus waits are, so I can appreciate the much needed upgrades. These representatives were looking for local organizations and community members to support the idea of the Nostrand Avenue Bus Rapid Transit so that it would be an idea that came into fruition. Anne, fellow intern Mark, and I all met at the Community Resource Exchange on the 21st of October for a Budgeting Basics workshop for non-profit organizations. Being in a workshop with other non-profit organizations was very helpful because even though everyone was from different organizations and had different objectives, many of the concerns and questions about budgets were similar. I learned how much actually goes into creating and maintaining a budget. Also I began to understand that budgets should be symbiotic with planning, because a budget is your plan in numbers. 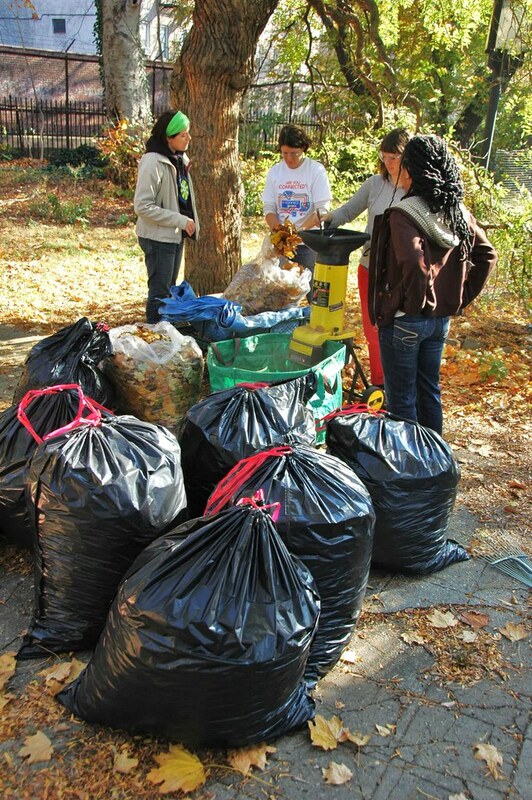 Twice in November, on the 8th and the 21st, Sustainable Flatbush collected leaves at our Flatbush CommUNITY Garden in conjunction with NYCLeaves, to turn into rich compost for the garden. I was able to help work the leaf shredder and thanks to all the members of the community who dropped off their leaves there were way more leaves than we could shred in a single sitting. The first day that we collected leaves we received over 800 pounds of future compost. Once the leaves were shredded we added them to the compost piles in the garden. Rather than using the leaf shredder some children and a few adults took shredding into their own hands by jumping, playing, and tossing the leaves, so leaf composting not only keeps leaves out of our landfills but it is fun for all age groups. Sustainable Flatbush invited Novella Carpenter to read from her book Farm City: The Education of an Urban Farmer at Vox Pop Cafe. Her book contained stories of dumpster diving, pig auctions, squatting, and much more about the trials and tribulations of having and maintaining an urban farm and garden. I learned that a lot of time and effort go into raising your own animals for food. I found Novella Carpenter’s experiences so inspiring that someone could be so dedicated to wanting to know where their food came from that they grew and raised their own food. The morning of November 15th neighbors of the Flatbush community and beyond gathered with their own tools and the desire to beautify the streets by planting daffodil bulbs. 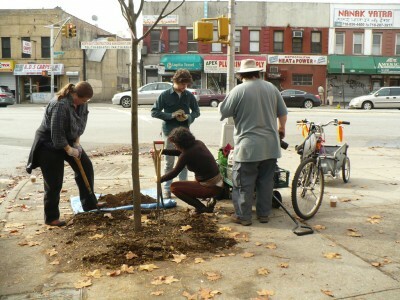 The bulbs were planted in street tree beds with trees that were planted within the last year. Come spring everyone will be able to witness the fruits of their labor when the streets of Flatbush are decorated in shades of yellows and whites from the daffodils’ blooms. There was record attendance at Brooklyn College’s November 17th Town Hall on Sustainability: 93 students, faculty, and community organizers met to voice their opinions on topics such as food, housing, health, transportation, water, energy, community gardens, and waste. Anne was one of the panelists that spoke and answered questions about sustainability in Brooklyn College and the community beyond the campus gates. I was a part of the health round table; we discussed concerns about health insurance or lack thereof, making more students aware of the health clinic, having healthier food choices at the Brooklyn College cafeteria, and using non-hazardous materials for cleaning and landscaping. Individuals at the community garden round table were some of the gardeners from the Campus Road Community Garden; they questioned and gave suggestions to Joseph Nigro, the representative from Brooklyn College’s facilities, about maintaining all of the garden’s land without having to destroy any of it for a parking lot, but he was unable to provide any clear answers. The purpose of the town hall was to present to the community what Brooklyn College is doing with regards to sustainability and take suggestions to improve on its sustainable efforts. In October and November I had the opportunity to not only attend but be involved in a variety of events, meetings, and workshops with Sustainable Flatbush. Events are important to actively demonstrate to the surrounding community that as an organization you are fulfilling your objectives. What I love about Sustainable Flatbush is that the initiatives spread across a broad range of environmental topics, so I can meet with representatives from the Department of Transportation one day and then be in the garden and shredding leaves on another day.